Here are our frequently asked questions regarding the position of Traffic Control Person. We also highly recommend the following advice when beginning as a TCP in the construction industry. ​So you'd like to be a Traffic Control Person... Great! Have a savings built up for the first 3-6 months of employment. Beginning traffic controllers can expect anywhere from 1 shift per week to full time hours, but it's important you understand that "dispatch/on-call" work is just that: on call. If we have a bad week for weather or the client doesn't get their permits approved when they thought they would, you might be looking at a few days off. This is out of the companies control and while every company strives to provide full time employment for each employee, we are subject to the supply and demand of the industry. For this reason alone, you need a savings to cushion you when your paycheck is short. (We recommend a buffer of $2,000 - $4,000 depending on your monthly bills). Do your research before you enter the industry. Read our FAQ. Speak to friends and family, see if they know anyone who works in the industry and can answer your questions about the realities of the job. ​Buy high quality CSA approved work boots, especially if you've never stood for 8-12 hours a day in the elements before. Industry standard is a 6" rise in the ankle, but we recommend an 8" rise for strong support. Good boots can help keep your back, knees and hips in good shape. Skip the cheap brand and go for the ones that offer support for your ankles and arches. I have no prior experience, can I be a Traffic Control Person? Yes! We offer quality traffic control training to those interested in the job role of traffic controller to provide the most thorough and clear training program as possible as provided by the BCCSA. If we do not currently offer a course that fits your schedule, we are happy to recommend other training providers in our area. Traffic Control Certification is valid for 3 years. What is the work schedule like for Traffic Control People? Traffic Control work is most often on-call shift work. This requires traffic controllers to be both flexible and reliable. Traffic Pro Services offers a variety of shifts and supplies over 25 companies in the lower mainland with the majority of our shifts starting between 6 am and 8 am. I have a full time job, can I work as a Traffic Control Person on the weekend? While it may not be impossible in the industry, at Traffic Pro Services, we require Monday to Friday availability at minimum. Traffic Control People are the ones that stand all day holding the signs right? No. While it is true that Traffic Control People do work with a stop/slow paddle, we are very rarely idle on the job. Perform a daily Risk Assessment and implement control measures to prevent hazards from harming us. Document your daily work tasks, hazards and important information in your daily log book. Maintain a safe escape route at all times. Wear and ensure our PPE is always clean and bright. Understand the Traffic Management Manual for work on Roadways and adhere to all OH&S Regulations. Watch for vehicles, pedestrians and cyclists. Pay attention to the work zone and watch for any changing hazards that may harm us, the crew or the public. Provide the crew with safe passage on the roadway, and watch their backs to ensure their safety. Stay alert and focused at all times on the job. I heard Traffic Control is a good opportunity to make easy money, is this true? If this sounds like you, then there is a good opportunity for you to make great money and do a job you love! I don't have a vehicle or drivers license, can I still be a Traffic Control Person? Yes and No. 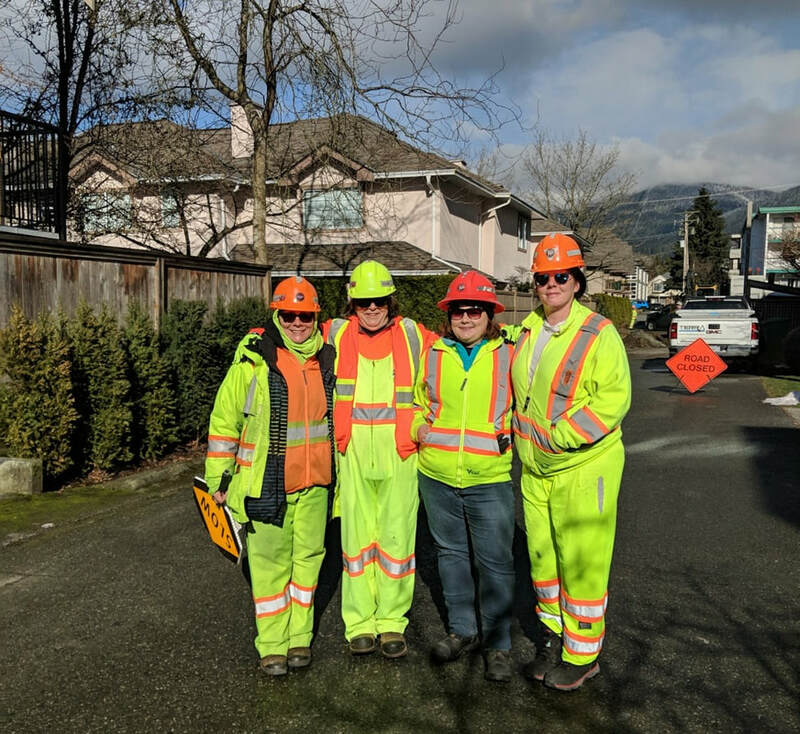 There are many construction sites around the lower mainland that are very accessible to transit system workers, however, for the majority of traffic control companies you need to be mobile. When mobility is limited, work might be passed on to the next traffic control person who can reach the site at the required start time. ​Traffic Pro strongly recommends that you have a vehicle and a drivers license to achieve the most hours possible. What is the starting wage for a Traffic Control person? Traffic control people can make anywhere in the range of $12.00 hourly to $22.00 hourly depending on the nature of the work and the company or union they are affiliated with. ​Traffic Pro Services is a unionized company working with IBEW Local 258, as such we follow the union pay scale and offer $16.50 hourly to those who do not have any previous experience as a traffic control person. After the 700 hour probationary period there is a wage increase to $18.99 hourly. Traffic Pro Services also offers a great benefits plan, paid vacation after 1 year of employment and stat holiday pay. Long term employees become eligible for additional perks, including RRSP contributions and opportunities to increase your hourly rate with wage top ups and skill development. Is there room for growth and advancement in the traffic control field? ​Traffic Pro strives to promote it's staff from within, looking at all reputable and reliable staff for a promotion before hiring outside of the staff pool. Do you offer Traffic Control Training to the general public? Yes! We offer monthly traffic control training as well as a variety of other courses at our Burnaby Facility. Please fill out a contact form on our contact page for more information on training dates, or check out the BCCSA's website for our available public courses and courses in the across BC: www.bccsa.ca. Traffic Pro is currently hiring tcps and experienced lane closure techs! For more information or to email us your resume, please visit the contact page.